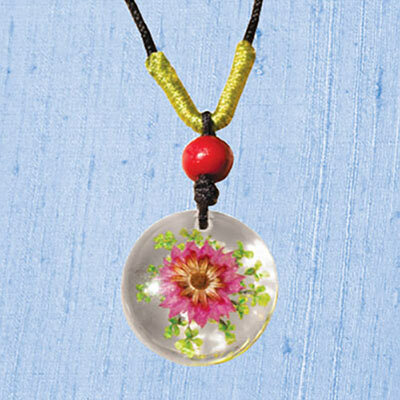 Keep a piece of nature within reach with this Pink Flower in Acrylic Necklace! Made from a REAL flower encased in clear acrylic, this contemporary necklace is designed to fit with an adjustable black cord with pull-style back. 24"l cord with 1½" pendant. Limited Quantities!